For once we had a Saturday with nothing planned, so we went out for dinner and drinks at the Bilbo Baggins restaurant in Old Town. As I perused the beer menu, I realized they had a pretty good line up of beers on draught. 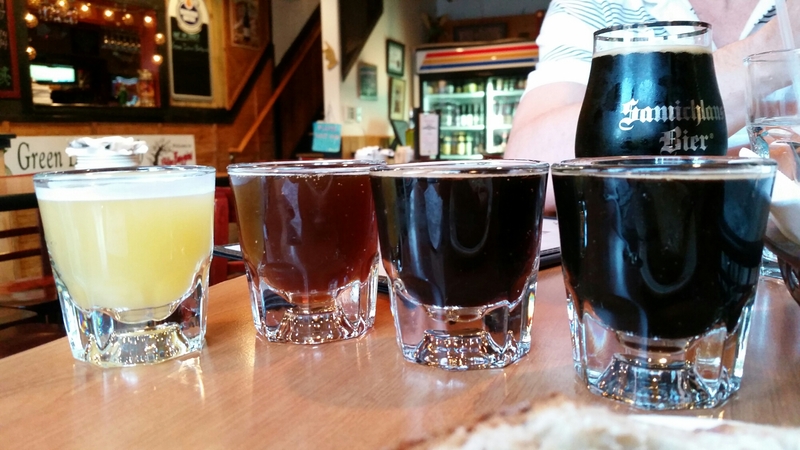 I ordered a four glass sampler. Once I fished my sampler, I ordered the Scaldis Noel. 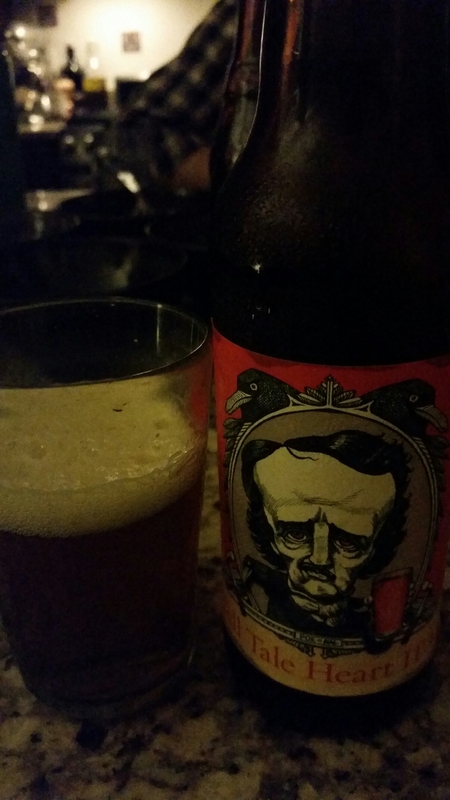 Exceedingly boozy and flavorful. Not heavy on the Xmas spices. 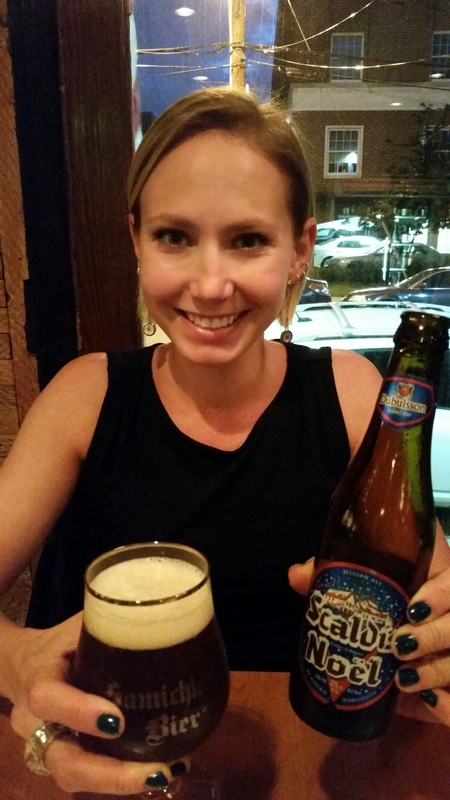 I love Belgian beers at any time of the year, but it would be perfect with snow and a fire. We honestly have so many beers in our house, that I forget about them and find them again randomly. Like this beer that has been in the fridge since around last September, the Lips of Faith Pluot by New Belgium Brewing Company of Fort Collins, CO at 10% abv. 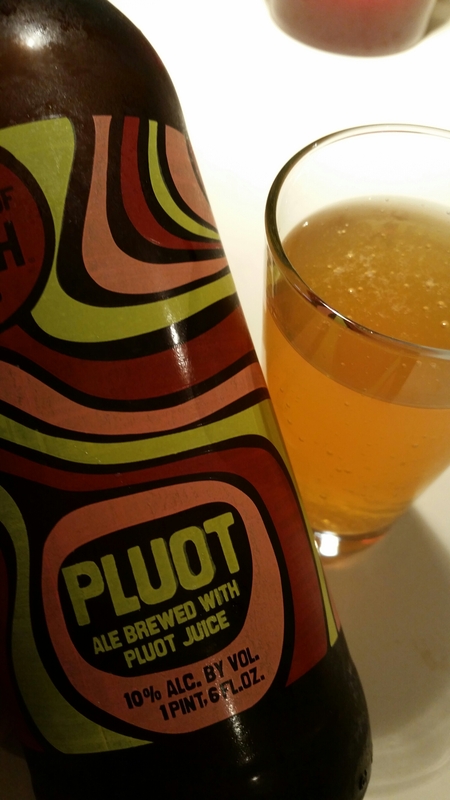 Quite sweet, definitely a dessert beer, heavy plum/pluot flavors. Low hop profile. Odd beer, not bad but not a stand out favorite. I only had one beer on Sunday so I made it count. After a lovely stroll along the tow path, Jack and I went to Sur La Place, a Belgian mussel restaurant, for dinner. 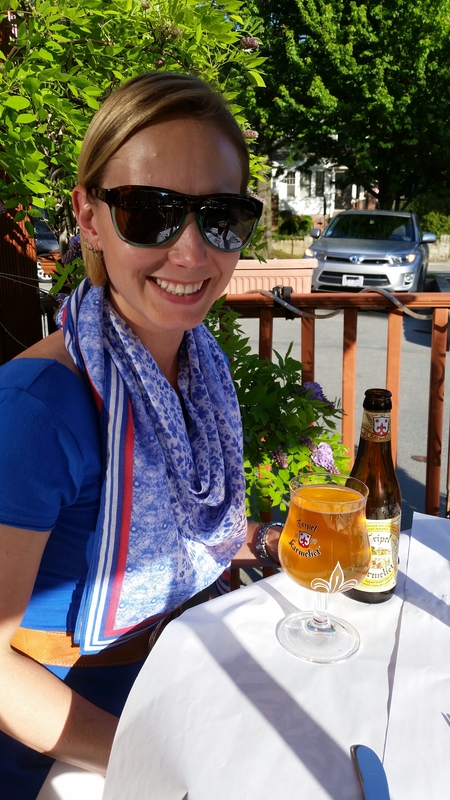 I had a classic, the Tripel Karmeliet by Brouwerij Bosteels of Buggenhout, Belgium at 8.4% abv. After climbing, we grabbed a few beers and headed over to Katy and Andy’s. We proceeded to split and taste a whole bunch of beers! 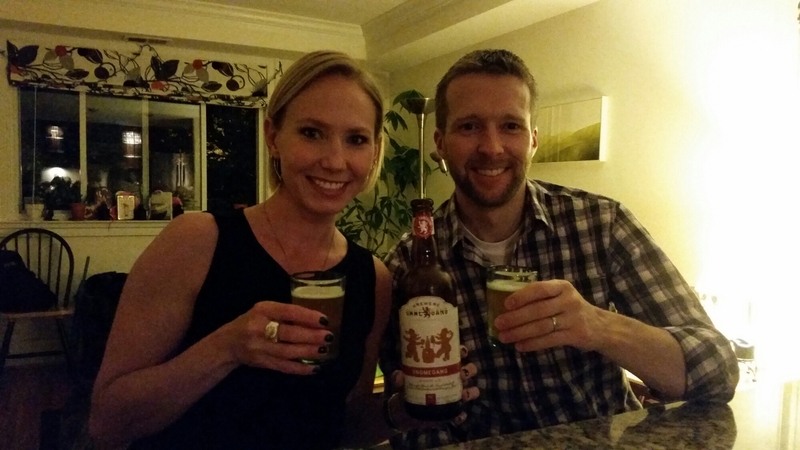 We started with Gnomegang by Brewery Ommegang of Cooperstown, NY at 9.5% abv. 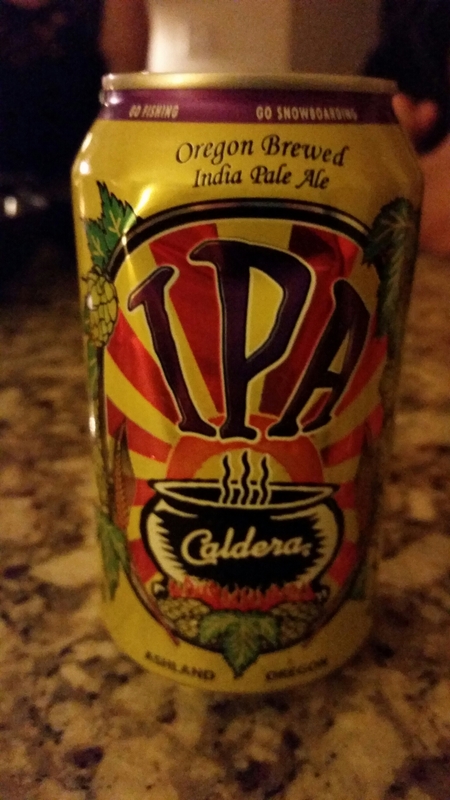 Then I tried the Caldera IPA by Caldera Brewing Company of Ashland, OR at 6.1% abv. Next we split Le Freak by Green Flash Brewing Company of San Diego, CA at 9.2% abv. It was a very different beer, a mix between a Belgian triple and an American IPA. You could easily taste both separate styles in one beer. 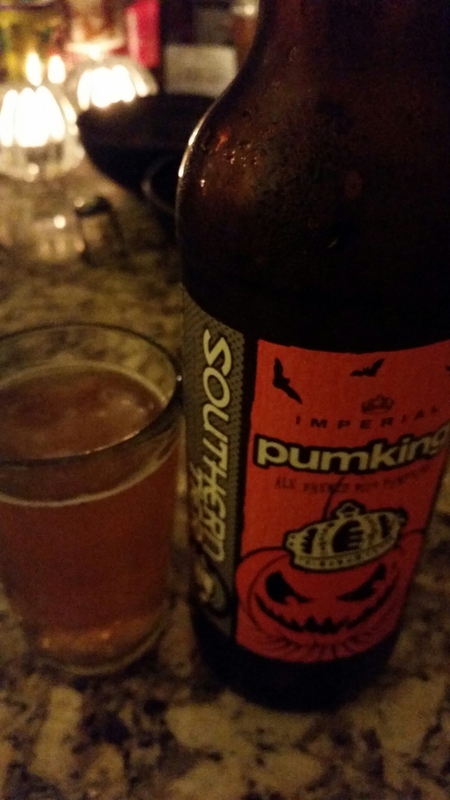 Up next was a random grab out of the back of the fridge, the Southern Tier Pumpking by Southern Tier Brewing Company of Lakewood, NY at 8.6% abv. After getting a bit tipsy we started to get hungry! We walked two blocks down the street to a great little pizza joint called Del Ray Pizza. 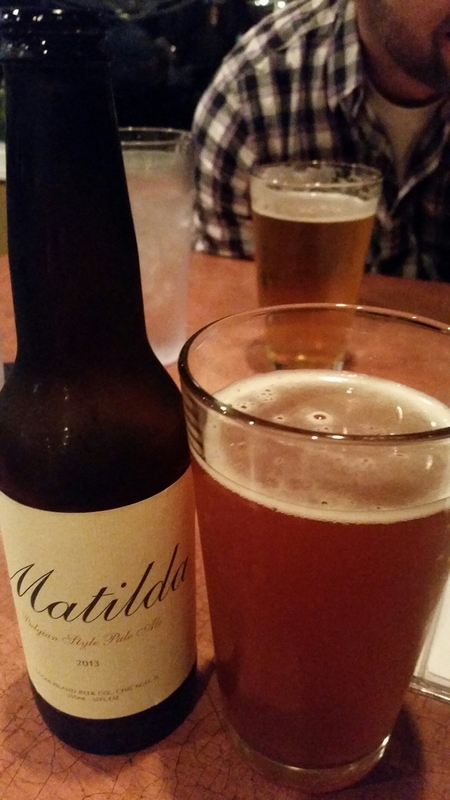 While there, I had the Matilda by Goose Island Beer Co of Chicago, IL at 7% abv. After dinner we made it back for one more beer, The Tell Tale Heart IPA by B.W. Beer Works USA of Baltimore, MD at 7.25% abv. Then we made it home, slammed a glass of water, took some ibuprofen and passed out. The weather here is finally gorgeous and we’ve had done beautiful nights where Jack and I chilled and split a good beer. 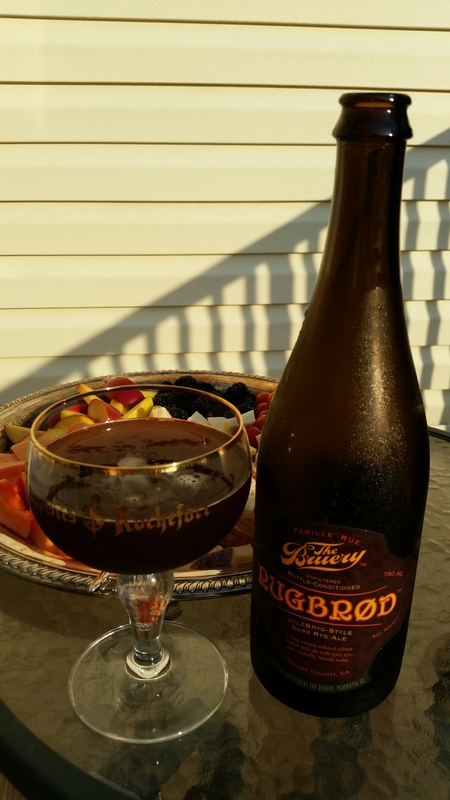 This past week we had the Rugbrød by The Bruery of Orange County, CA at 8% abv. It had more rye flavors than I was expecting. Toast, caramel, and a bit doughy. 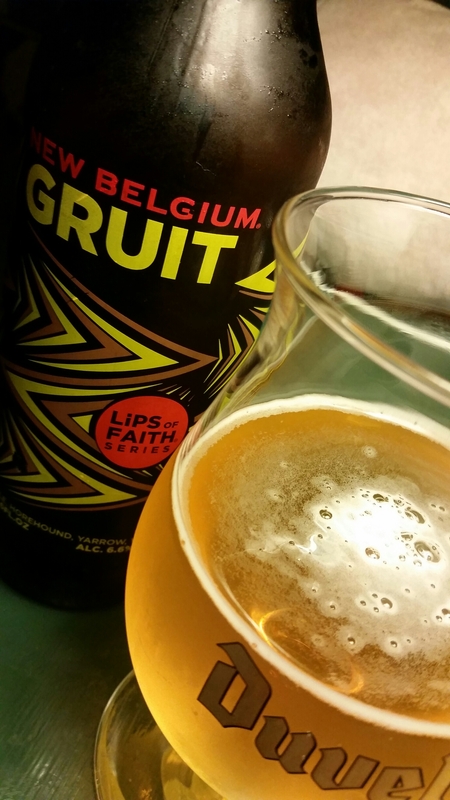 The next evening, we split the Lips of Faith Gruit by New Belgium Brewing Company of Fort Collins, CO at 6.6 % abv. It’s considered a Scottish herbed ale and it’s brewed with yarwood, myrtle, horehound, and wormwood. It smells incredibly woody, and like a forest. It’s defiantly a unique beer. After another day spent outside at the crag, we showered, regrouped and headed over to Pies and Pints. While waiting for the rest of the group, Kara and I had some beers at the bar. 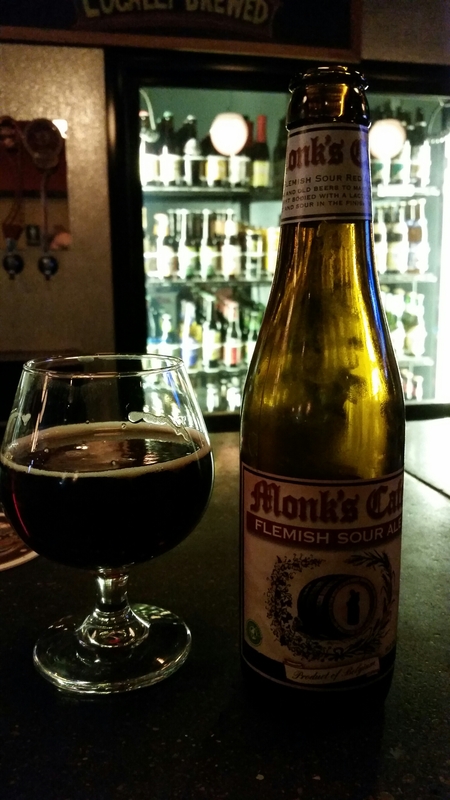 I had the Monk’s Cafe Flemish Sour Ale by Brouwerij Van Steenberg of Belgium at 5.5% abv. After that I had a beer that always reminds me of Pies and Pints because I always get one while I’m there. 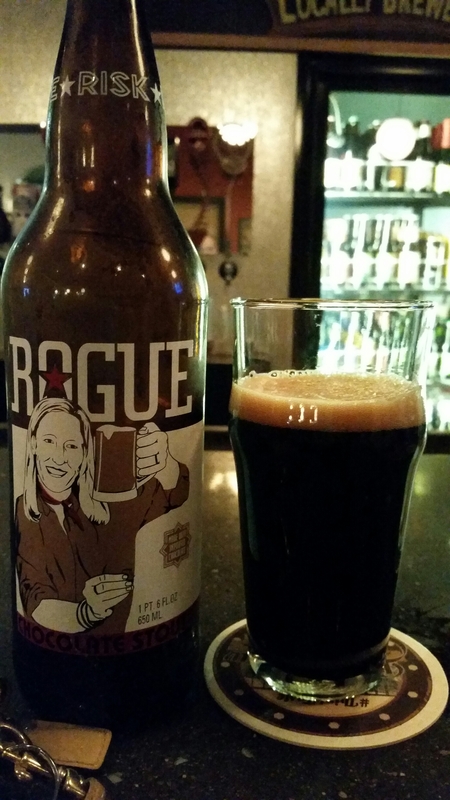 I had the Rogue Chocolate Stout by Rogue Ales of Newport, OR at 6% abv. This beer will always reminds me of climbing trips! It took forever for spring weather to get here, but now that it’s nice, we can start taking climbing trips again. This past weekend we made it to the New River Gorge, WV. We got some great and some scary climbs in and were joined by Katy and Andy mid day. 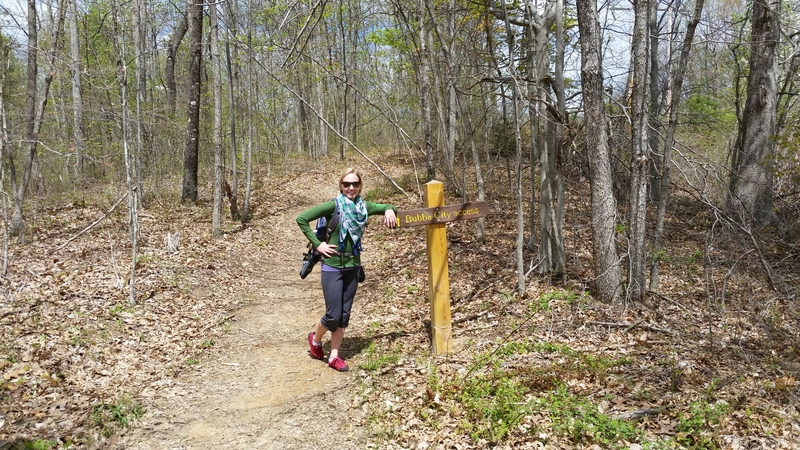 Later, for the hike out, K & A broke out the beers they carried in with them! They had a couple of good looking IPAs and I got to try my first Cigar City beer. 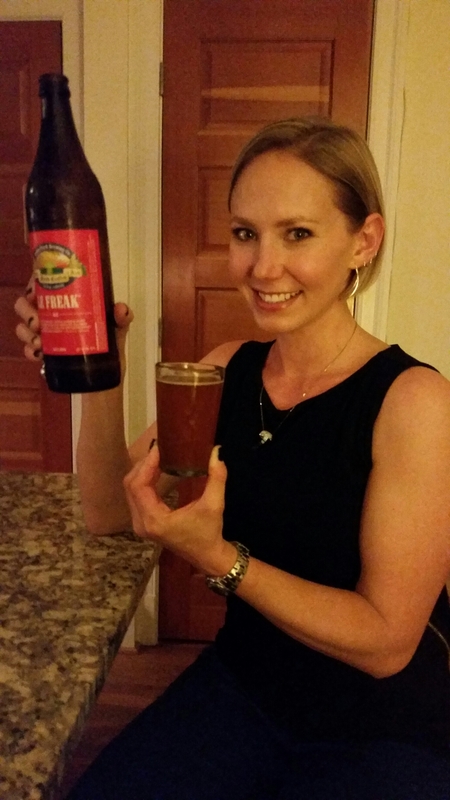 I had the Jai Alai IPA by Cigar City Brewing of Tampa, FL at 7.5% abv. It had an orange tropical papaya fruitness to it along with the resinous piney IPA bite. 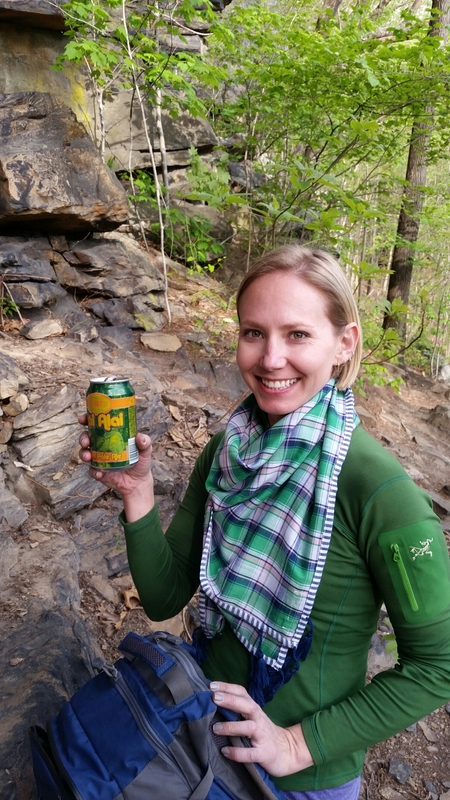 After checking out the climbing shoes at the local gear shop, Katy and I got some beers while waiting for the boys. 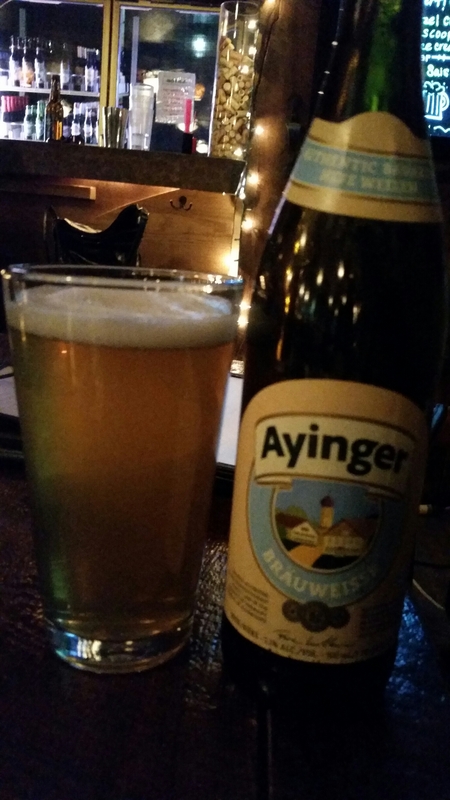 I started dinner off with the Ayinger Bräu Weisse at 5.1% abv. An unusual pick for me, but quite tasty and refreshing.